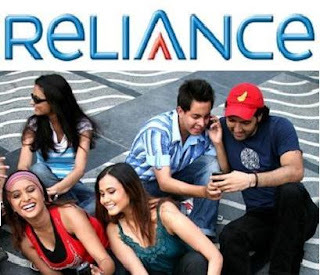 NEW DELHI: Reliance Communications (RCOM) on Friday cut texting (SMS) charges to 1 paise per message, upping the ante in an ongoing tariff war that has eaten into the revenues and profits of all telecom service providers. Subscribers of the country’s second-largest telecom firm can now text at 1 paise per SMS on buying a Rs 11 monthly voucher, or by opting for an unlimited SMS plan by paying Re 1 a day, RCOM’s president Mahesh Prasad said in a conference call with reporters. The scheme is available to the company’s subscribers on both GSM and CDMA platforms. The move, which takes the tariff war to a new level, comes even as sector regulator Trai plans to take steps to force telecom companies reduce SMS charges. Several members of Parliament and consumer groups have pointed out that while telcos had slashed voice tariffs significantly over the past couple of months, there was no proportionate cut in SMS tariffs. RCOM’s low-cost SMS plans will force other operators to follow suit. Earlier, RCOM had slashed roaming tariffs to Rs 50 paise per minute, forcing other telcos to offer similar plans. Bharti Airtel, the country’s largest service provider, reduced roaming charges to 60-80 paise per minute, while Tata DoCoMo extended their 1 paise per second billing concept to roaming too. The markets gave a thumbs down to RCOM’s latest move. On Friday, the company’s shares fell 2% to close under Rs 167 on the BSE. According to data compiled by both the sector regulators, SMSes account for about 5% of the revenues of all telecom companies. An executive with a leading telco said slashing of SMS tariffs would not have a major impact on the sector’s revenues, but would lead to increased congestion in the networks. But, an executive with a new telecom company pointed out that an SMS was mere 1 kb in size, compared with 16 kb for a voice call and would, therefore, have no impact on network congestion. “Taking the tariff war to the text space will ensure that incumbents can no longer exploit it as a revenue stream. The cost of an SMS is almost negligible. Existing tariffs for text are 50 to 100 times than what it costs the operators,” this executive added. The current price war has sent the market value of listed telecom companies crashing with investors keeping away from their stock fearing a sustained fall in revenues and profits. The combined market value of private sector telcos slipped by 44% since April to Rs 1,67,840 crore, way below the market value of India’s largest telco Bharti Airtel in May 2009 that stood at Rs 1,87,943 crore. RCOM, which accounts for about 18% of the country’s cellular subscriber base, has failed to keep pace with rivals in monthly subscriber additions in recent months. For instance, the telco accounted for 12.56% of the new customers added in October behind Tata Teleservices, Vodafone Essar and Bharti Airtel. Tags:Reliance,RCOM,Reliance Communications,SMS offer,Reliance 1 paise per sms,NEWS center,TODAY NEWS,Mobile updates.